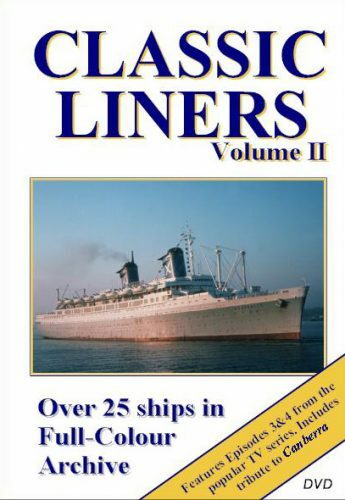 Episodes 5 & 6 of the Classic Liners TV series on one DVD. Full details below. 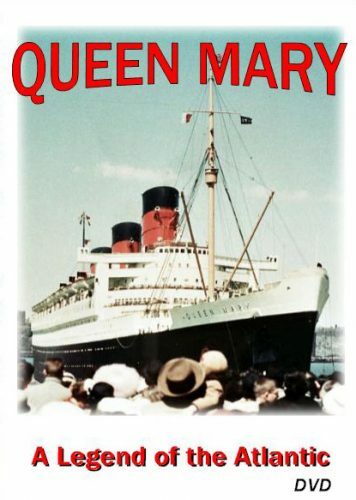 The tird of three titles based on our six-part television series. 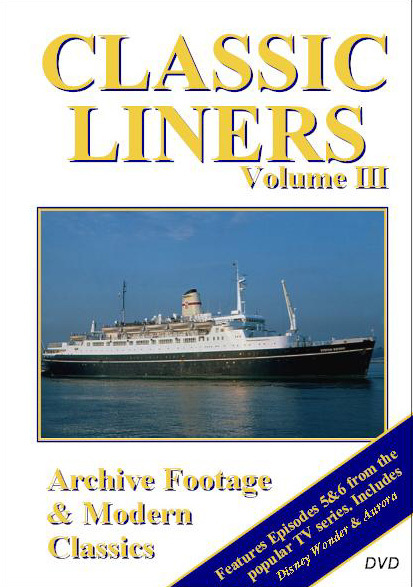 Classic Liners Volume III features archive footage of classic liners past, and more recent shots of today’s generation of ‘superliner’. 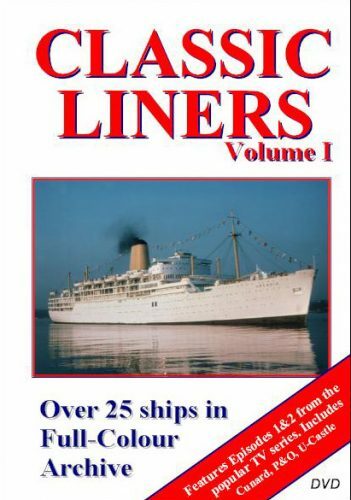 Includes the 1947 launch of Edinburgh Castle, extracts of a world cruise aboard Ellinis in 1964 and superb colour footage of the world’s best-known liners strike-bound at Southampton in 1966. 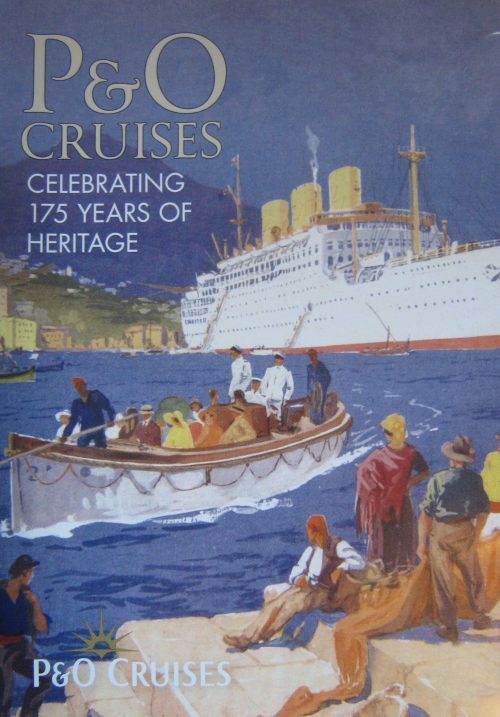 Also a tribute to the much admired Victoria during the vessel’s last season with P&O Cruises, and a line-up of more modern liners: Disney Wonder, Golden Princess, and a tour of Aurora. Duration approximately 50 minutes.